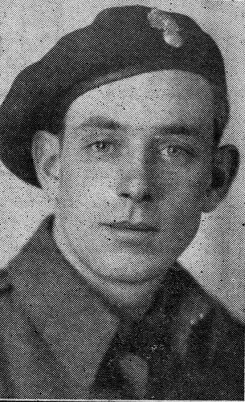 Clarence Fraser, the son of John Fraser of Lakeside, enlisted in 1941. He trained at Chatham, Camp Borden and in British Columbia. Overseas, he fought with the Queen’s Own Rifles of Canada on the western front. He received serious shrapnel wounds to the head and chest in Holland in December 1944 and was evacuated to hospital in England.